The footage is taken from the 2008 Beijing Paralympics and the Gliders obviously forgot that games are filmed and televised. What were we thinking?? The 5 person clap on court with a big zoom in on my big laugh is a touch embarrassing but hey any attention/publicity is good attention/publicity right?? Erg! I found the following video after watching the above video. Good on ya Kylie! I'm assuming it was taken before the Beijing Paralympics. Unfortunately we didn't get the gold there (we won the bronze) but fingers crossed the Gliders get the gold in London! In other news: my house didn't lose power and nothing has blown away. Taj was a bit wet and shaken when we got home. 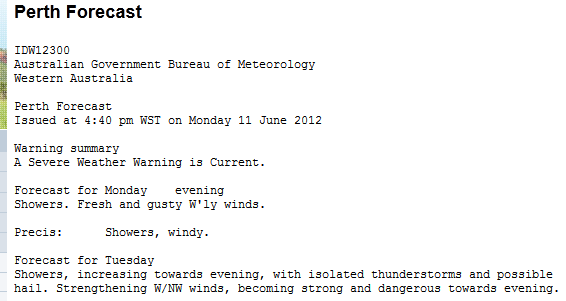 We are still expecting a few more storms in Perth so hopefully there will be no more damage during those ones. On Sunday, my husband and I had to do a lot of driving around the Fremantle to Canningvale area and we saw A LOT of fallen trees and branches on the road. One poor bloke had a branch through his car windscreen. Flash and Thunder are currently at the $500 mark for raising money for Wheelchair Sports WA. Any support would be greatly appreciated! 100% tax deductible donations can be done HERE. And you can read their training blog HERE. 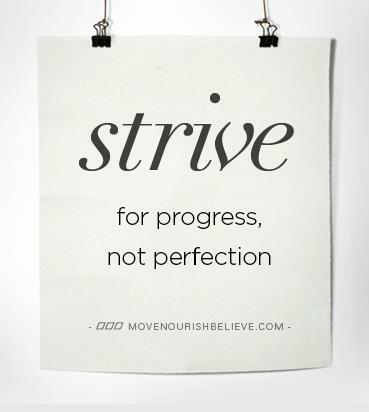 I can hear my husband tapping away on his laptop, so expect a new training blog soon! September is approaching! My uni lecturer would have hated the lack of "flow" in today's post. I jumped from one topic to another quite dramatically - but meh - this doesn't count towards my degree :) Speaking of which: one more semester to go!! - 79 days to go til London Paralympics! 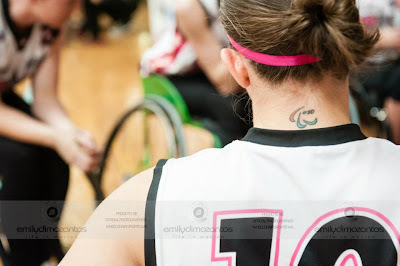 The weekend starting Friday the 1st of June 2012 saw my state women's wheelchair basketball team host the next round of WNWBL. The stadium was decorated with pink streamers and posters and the Western Stars had organised a pretty sweet box of pink goodies to raffle over the weekend. I was ready to go with my pink and black shatter OPI nail polish! 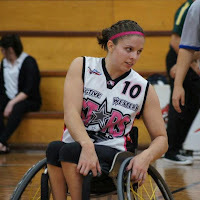 The first game against the Sydney Uni Flames started late due to the Flames being late to the stadium. Which is actually a bit lucky because I myself was running a bit late (at least late in terms of when the coach wanted me to be there) because I was having a few adventures in Welshpool and Cannington with my brother in law that took longer than expected (he got his Learner's permit!). The Stars started off a bit slow but we sorted our stuff out and won the game with ease. Everyone on my team got on the scoreboard which is a great effort. We won 57 to 42. I personally got 8 points which is actually an amount I am pleased with. As a "low pointer" our main role isn't shooting and because the Western Stars don't have someone suited to carrying the ball, I have stepped up to be in that role. It is a challenge because a ball carrier has to be agile while protecting the ball at the same time, and part of my disability includes having very little balance. Therefore when I'm knocked I will "flop" to the side. So carrying the ball around defence as a "low pointer" is actually very hard to do. I rely on my team mates to make space and become passing options. I much prefer to be able to pass the ball up the court rather than weave around defence while dribbling the ball. 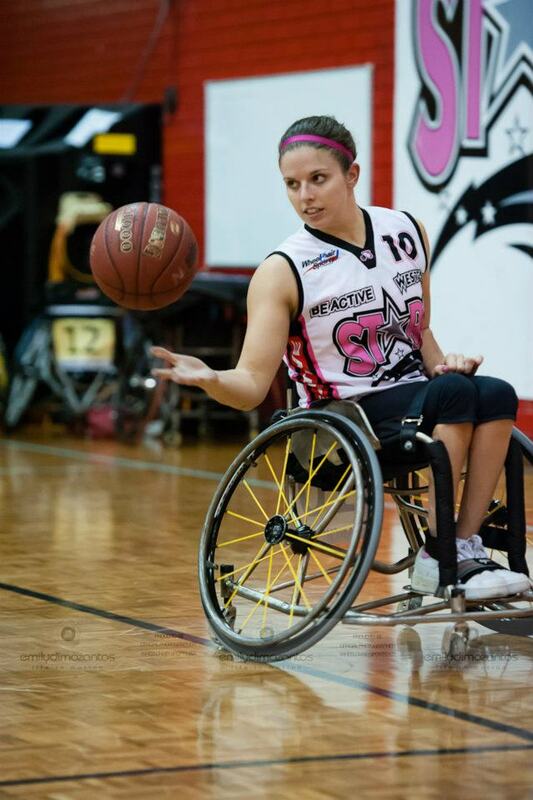 On a side note: a great video to watch has recently been released by the Australian Paralympic Committee. Dylan Alcott is a "low pointer" for the Australian Men's team (the Rollers). 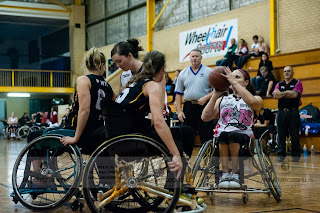 Getting back to the WNWBL - on Saturday we played against the Queensland Comets who are a good pressing team. We managed to get through their defences and we beat them 45 to 31. I didn't get on the score board this game but I also only attempted twice. I didn't even get that many assists but my fellow "low pointers" know that this is because the "high pointers" want more rebounding stats so they miss their first shot attempt and then make their next one. 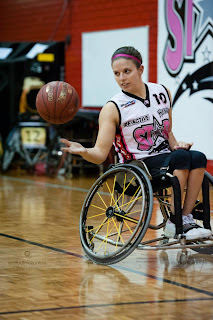 My sister in law (able bodied women are allowed to play in the WNWBL bur we are only allowed on on court) top scored for the game with 19 points - a fantastic job! Our last game was against the Dandenong Rangers who we haven't been able to beat yet. It was a very close game and we were even in the lead a few times during the game! Unfortunately we didn't get the win but the score was only 44 to 49. The coach getting a tech foul for talking on the sideline and LDT hitting 2/2 FT afterwards didn't help.So if that didn't happen and either myself or one of the other stars hit 2 more shots then we could have won! 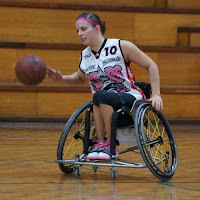 I would like to quickly take this opportunity to thank Matt Norris and his wonderful team at RAM Wheelchairs for making such an awesome basketball wheelchair. The extra hours put into it has made it the best sports chair I've ever had. It is currently in its raw titanium form - but watch this space for when it is painted and has its pimped up Green and Yellow spoked Spinergy's. The game against the Rangers was a massive progress from our last game against them. Fingers crossed we will get to play them in the grand final and we will have yet another progress. A winning progress! That night I couldn't curl up on the couch and just watch tv. I had an exam to study for (monday was a public holiday but the uni was still open). I had taken my uni text book away with me to Germany and Manchester but no study was done. It is the last thing I wanted to do when I had to concentrate on my National team duties. So yet again I was cramming last minute. The next morning I managed to write 9 pages in under 2 hours and I am quite happy with the content of those 9 pages as well. Fingers crossed! Still no rest for the wicked though - I had a Gliders camp to pack for! The 16 squad members stayed on in Perth to be part of the 3 day camp held at Herb Graham Rec Centre, Mirrabooka (the same venue where the Stars train and where we held the WNWBL round). I packed up my car with the clothes our team manager told me to pack (plus some) as well as what my husband described as "half the pantry". It wasn't really half the pantry. Just what I needed in order to make the Gliders cup cakes while at the Clarion Suites in Mullaloo. WSWA opened the stadium so we could train in the evening on Monday. We then had dinner at Hilary's Boat Harbour. The next day we had two training sessions and the following day we had our final training session. Wednesday afternoon (after helping my fellow Gliders to the airport) I was able to just RELAX! It was a stressful Gliders camp for all (staff included) - but more about that on a different day! - 83 days til the London Paralympics!